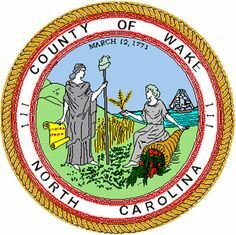 The Wake County flag is in every county library and school, but I have not seen it ever flying on a flag pole in front of a building. 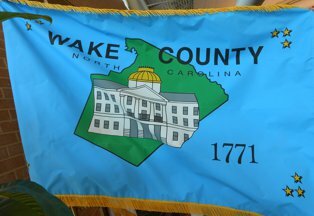 I am trying to find more info about how the flag came about, but I haven't been able to find much. There are three gold stars in each corner. The building on the flag is the NC State Capitol building in Raleigh.